Are you ready for the most wonderful time of the year? The holidays are right around the corner and if you haven’t gotten around to printing those holiday cards, decorating, preparing your menu or shopping for your loved ones, don’t worry! We have the best online resources to get you there. Instead of asking everyone for their wish list and trying to keep track of who wants what, do yourself a favour and download the Giftster app. Create and share your wish list, view others lists, link products to people and manage your holiday budget all on one platform. It also has a secret Santa feature! Available on Apple, Android and desktop version. Pinterest published their top 2018 trends for this holiday season with links to recipes, cocktails, decor and holiday looks. It’s the perfect online resource for inspiration, to find unique DIY gift ideas, and for family-friendly crafts. Holiday planning doesn’t have to be stressful. 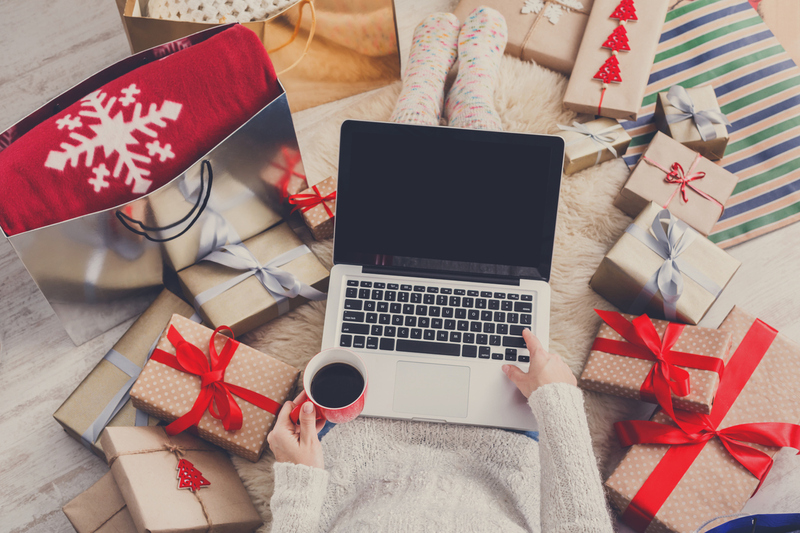 These online resources will help you prepare in advance and give you more time for holiday cheer. VistaPrint offers you the ability to customize your holiday gifts with pictures of your family or of a styled holiday photo shoot. Order cards to send to friends and family as an invitation for your holiday party, or simply to put on their mantel. No matter what your design style is, VistaPrint has something for you, with over 2,000 styles and themes of cards to choose from including their new embossed foil cards. You can also include your photos on personalized gifts like calendars, mugs, t-shirts, puzzles and more. Entertaining large groups is a highlight of this time of year. With the newly released LCBO digital magazine you’ll be equipped with all of the tips and tricks you need in the art of entertaining and to make each event an affair to remember. The digital magazine offers delicious recipes and wine pairings, such as the perfect roast chicken, maple roasted figs with walnuts, bacon and tahini paired with delicious sauvignon blanc, cherry cheesecake cookies and so much more. Lastly, you can use their handy guide for some of the best wines to give as a hosting gift if you are a guest at a party.